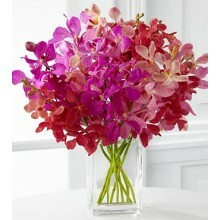 Delight them with dancing color and sparkling sweetness with this exquisite orchid bouquet. 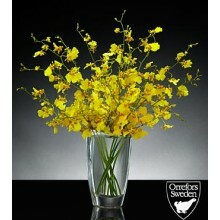 Capture their every attention with the texture and bright color of these 12 yellow oncidium orchids perfectly presented within an Crystal Vase. Your purchase includes a complimentary personalized gift message. 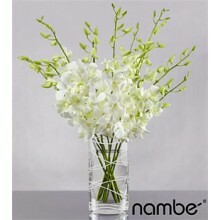 The Distant Dreams 1 dozen Orchid Bouquet offers your special recipient a release from the expected with its thoughtful level of sophistication and style of 12 brilliant white dendrobium orchids are elegantly paired with an exquisite vase. Vase Design May Vary. Your purchase includes a complimentary personalized gift message. 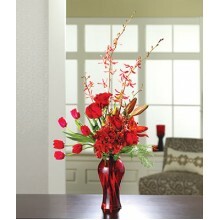 Remember the beautiful memories they brought to your life with a vibrant arrangement of roses, orchids, tulips, alstroemeria, lilies, and plumosa, in a red glass vase. We’ve taken our stunning 1 dozen Dendrobium orchids and surrounded them with unique and delicately folded aspidistra leaves as if to lock them together in a sweet embrace. Set in a clear glass vase and available in purple, white or a mix of both, this simple yet elegant arrangement will deliver a smile—and a hug—to someone special. Your purchase includes a complimentary personalized gift message. 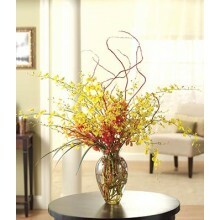 Gentle orange and yellow orchids are complimented with fresh curly willow and lily grass in this striking display with an exotic flair. Metro Manila Delivery: Please place your order at least 2 days prior delivery date. Provincial Delivery: Please place your order at least 3 days prior delivery date. Your purchase includes a complimentary personalized gift message. 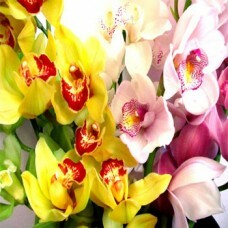 The Tickled 1dozen Assorted Pink Orchid expresses lighthearted happiness and boundless cheer with its bright color palette and long lasting beauty! 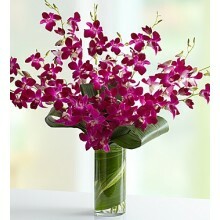 Our finest assortment of Mokara and Dendrobium orchids, from the deepest fuchsia to the most splendid, lightly spotted variety, arrive with a clear glass vase to create a wondrous bouquet for any occasion. Your purchase includes a complimentary personalized gift message. 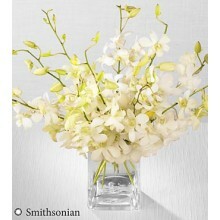 We, proudly presents the White Whispers Dendrobium Orchid Bouquet. With over 8,000 live orchid plants in its collection, we have created this sophisticated dendrobium orchid flower bouquet known for its serene alabaster white petals. 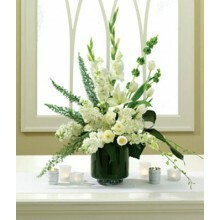 Representing peace and tranquility with its elegant coloring and texture, this 10-stem orchid flower arrangement arrives with a clear glass cubed vase to make the perfect gift for such occasions as an anniversary or engagement, to extend your thanks, or to express your deepest sympathies. Your purchase includes a complimentary personalized gift message.